And so began a lifelong obsession. When Doctor Who started getting rubbish (after Tom Baker basically) he nearly escaped into the world of music and girls until he discovered someone selling tapes of old episodes in the small ads and that was that again. 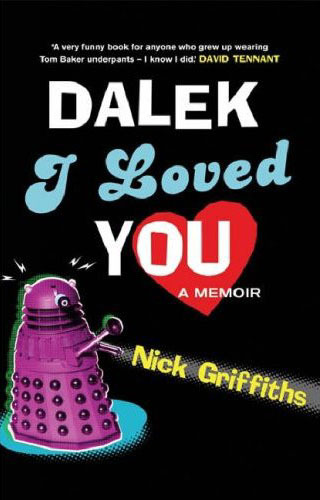 Only in the last few years has an anti-social obsession become something he can earn a living from as a journalist and happily this coincided with Doctor Who getting good again. Plus he has a son now, so he can claim he's watching it for him. Oh, and his son's called Dylan, not Gallifrey or Davros. Note: Contains two additional chapters not in the hardback edition. 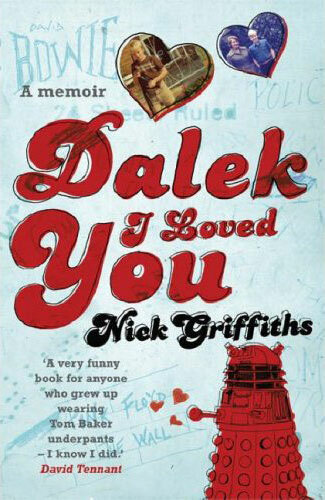 Dalek I Loved You is the hilarious and touching memoir of a love affair, of a life lived with the Doctor. It is also an evocative memoir of a 1970s childhood, and (it gets worse) of being a teenager and a student in the 1980s and (wait for it) a music journalist in the 1990s. Updated for the paperback with a new chapter on the latest series of Doctor Who and a chapter by Dylan Griffiths (aged 12) on life with a Doctor Who geek for a dad.